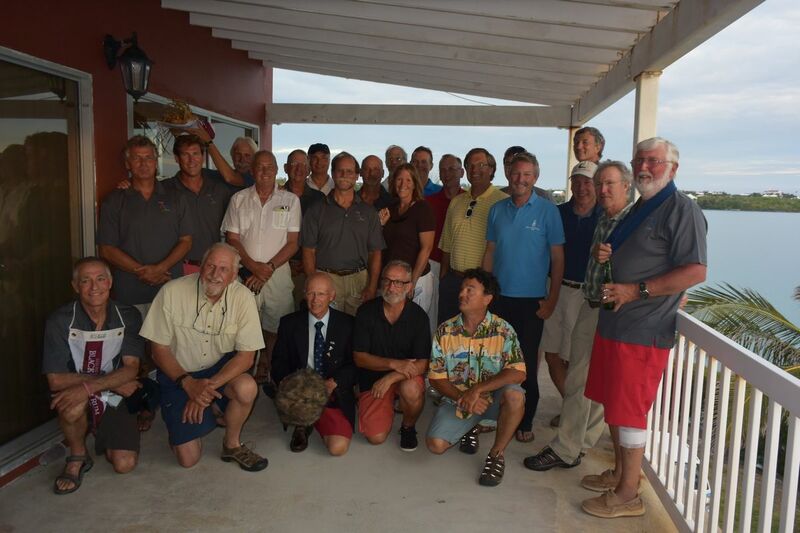 Singlehanded skippers raced from Newport to Bermuda, started Friday, June 5, 2015. The race back from Bermuda to Newport, started Thursday, June 18, was doublehanded. Standing Up Back Row L to R: Tristan Mouligne, Mac Turner, Louis Meyer, Murray Beach, Dan Stadtlander, Robert Brown, Vernon Hutzler, David Tabor, Antoine Lacasse, Roy Greenwald. Standing Up Front Row L to R: Brian Flynn, Douglas Shearer, Rick McCally, Kristen Wenzel, John Lubimir, Tony Leigh, Scott Miller, Gust Stringos, Peter McCrea. Kneeling L to R: Murray Danforth, Robert Green, Roy Guay, Mike Schum, Dan Alonso. Missing from photo: David Paine.